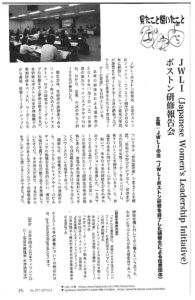 December 1, 2015 / Tokyo, Japan – JWLI Founder Atsuko Fish is recently featured in an article about her participation as a speaker in the first TOMODACHI Generation Summit in Tokyo. 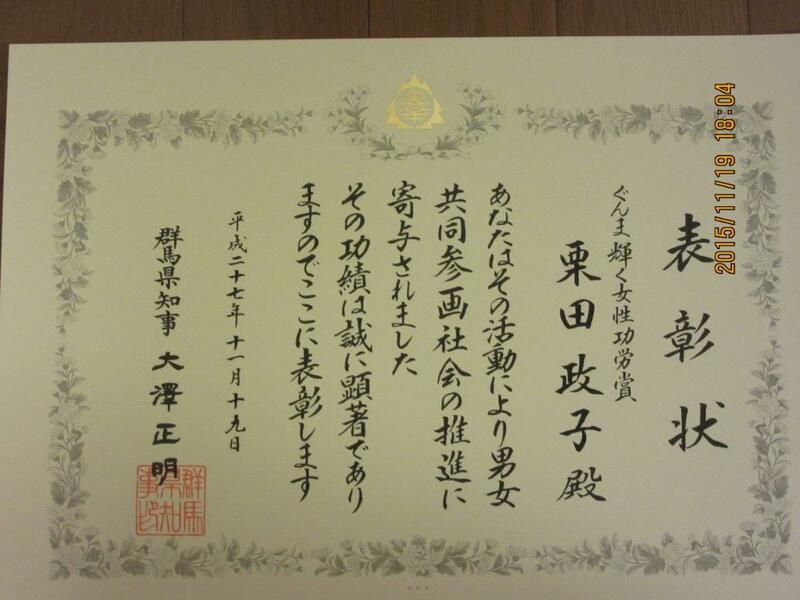 The TOMODACHI Initiative is a public–private partnership between the U.S. Japan Council and the Embassy of the United States in Tokyo. 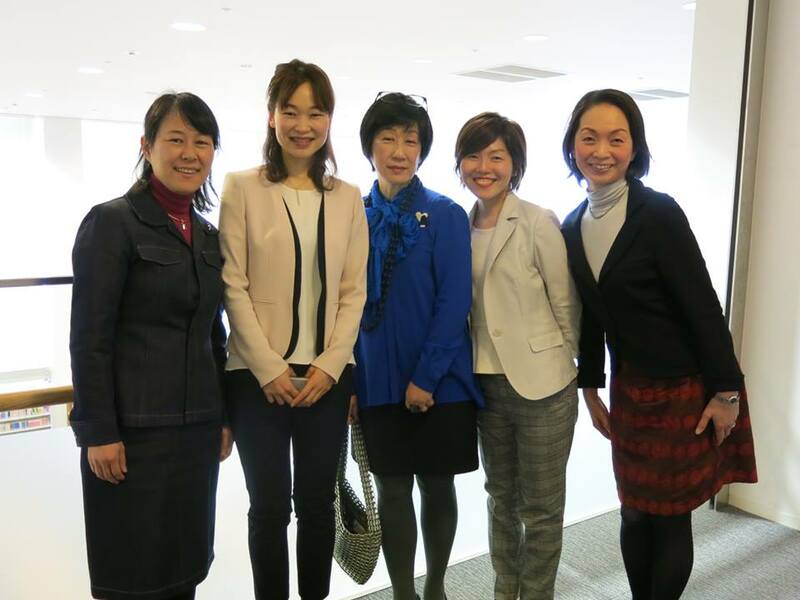 With over 150 Japanese and American alumni of the program, the summit strived for creating the identity and network of the TOMODACHI Generation and developing regional leadership groups. Keynote speakers included former U.S. 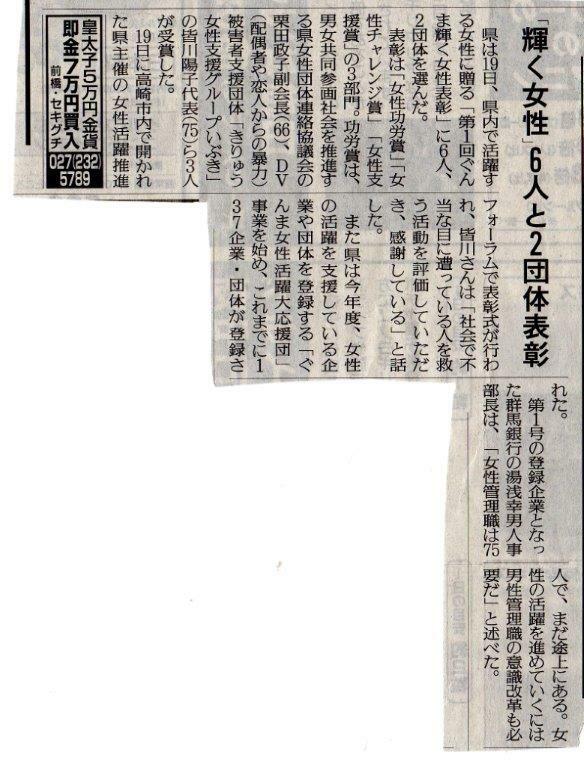 Ambassador to Japan John Roos, and President of the U.S.–Japan Council Irene Hirano Inouye. 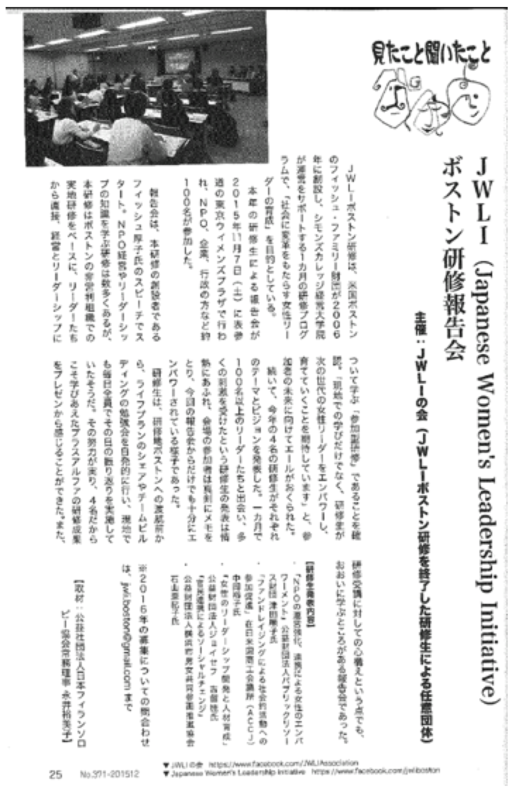 A December 2015 issue of Philanthropy, a magazine published by the Japanese Philanthropy Association (日本フィランソロピー協会), included an article written by JWLI 2014 fellow, Yumiko Nagai. 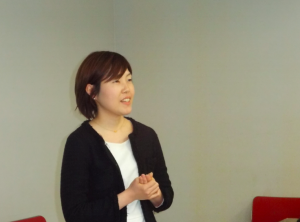 She is the Executive Director of Japanese Philanthropy Association. 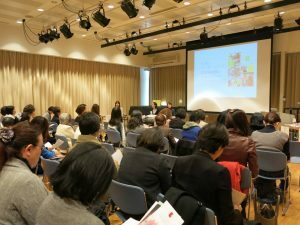 The article covered our reporting event on Saturday 11/7 at Tokyo Women’s Plaza in Tokyo where our 2015 Fellows gave presentations on their learning and experience from the program in Boston. Nearly 100 people, including Fellows’ colleagues, supervisors, friends and family, attended the event.